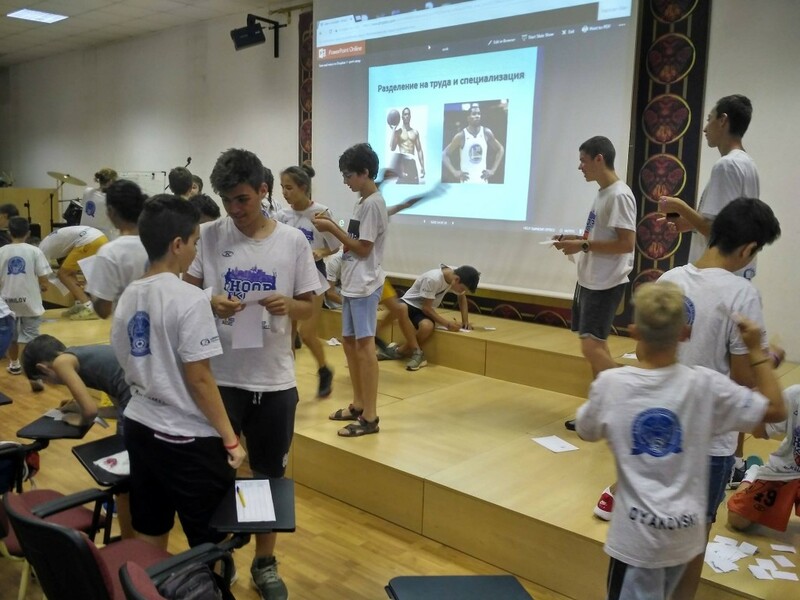 Support "The Entrepreneur as a Discoverer"
With a specially designed one-day training module, “The Entrepreneur As a Discoverer” was included in the pilot edition of the Children’s Educational Basketball Camp – Hoop Kids. 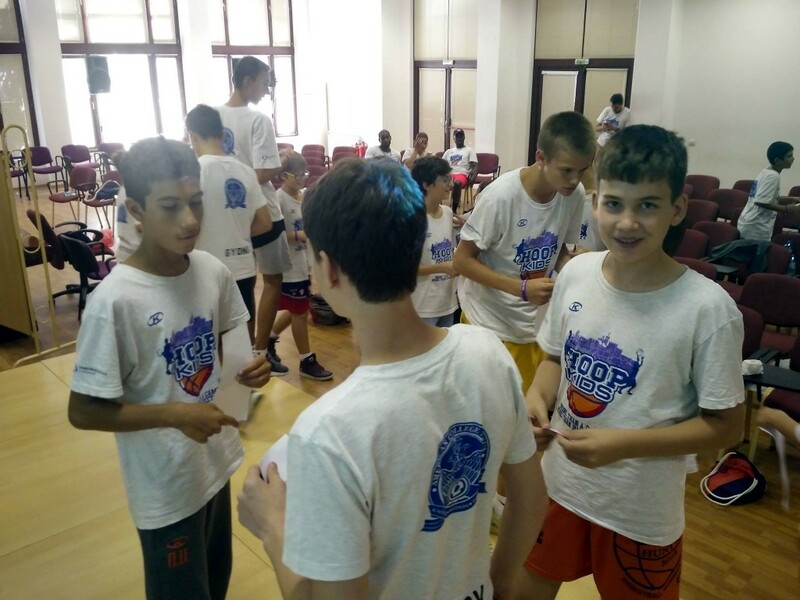 The one-week camp gathered 40 children from all over Bulgaria in Veliko Tarnovo. The children, who were 12 years old, had the opportunity to improve their basketball skills under the mentorship of six of the country’s most prominent coaches and basketball players. The camp, which was initiated by Martin Durchev and Jimmy Hunt, also offered a varied educational program. Part of the program was also the educational and training module “The Entrepreneur As a Discoverer”. Within a whole Saturday, the children studied some of the basic principles in economics and entrepreneurship. 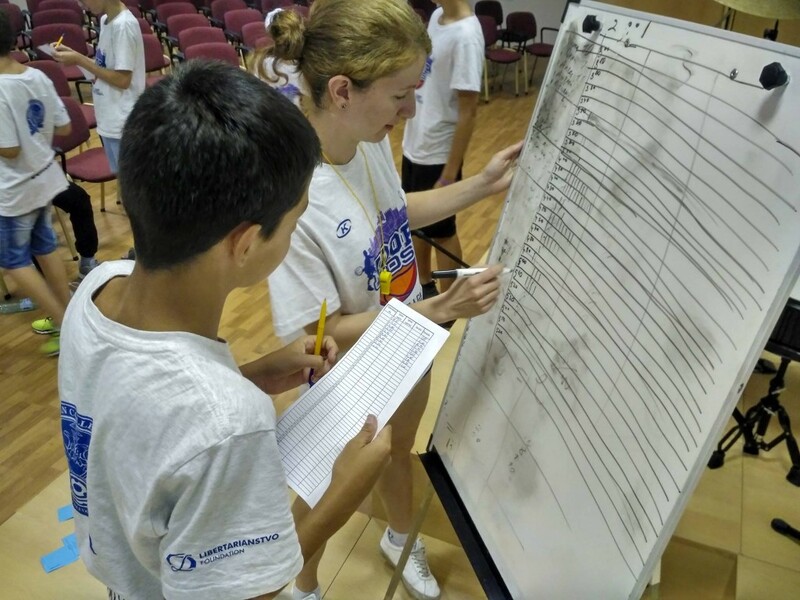 The educational content was fully adapted to the theme of the basketball camp, as the aim was to enable the students to connect and apply basic financial literacy to the sport. The crash curse was full of sports examples, and the main method of teaching was gamification. The main topics that were touched upon and left a strong impression on the participants were teamwork, communication and delegation of tasks, division of labor and specialization, value as subjective perception, competition as a motivator for success, failure as a process of acquiring new knowledge and entrepreneurship as an attempt to solve problems through business ideas. The intensive training program ended with a specially designed treasure hunt, lots of awards and certificates.